"When we considered the cost of replacing a driver that we might have been able to keep, along with the advantage to our CSA SMS of having their attorneys file automatic and free DataQ challenges, we concluded that offering Drivers Legal Plan was a no-brainer for us." "Our association officially endorsed Drivers Legal Plan two decades ago, and our members' participation has been substantial. The feedback from our Board and members has been 100% positive, and this law firm's commitment to our industry is unrivaled." "We have had numerous incidents over the years where the timely, effective work of the Drivers Legal Plan attorneys has greatly reduced the liability exposure of our company. I could not begin to calculate how much they have saved us." "We had prior experience with legal insurance/referral plans that, frankly, was not that good. Because of the all-around service and savings – we’ve experienced with Drivers Legal Plan, we now consider this law firm an invaluable part of our company, and wholeheartedly encourage our drivers to enroll." "In today’s CSA era for trucking, a driver must defend his MVR and SMS rating against any unwarranted points. Drivers Legal Plan law firm is simply the best and most affordable way for them to get that done." 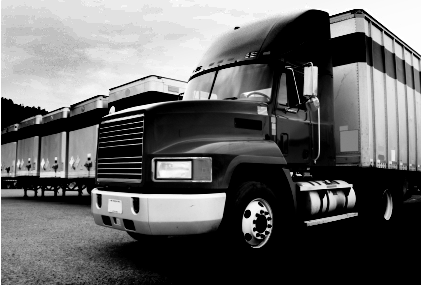 Drivers Legal Plan® attorneys dedicate their entire practice to CDL defense. They have extensive experience in every state and practically every court in the continental 48 states. DLP attorneys include CDL-holding former prosecutors, legislators, and a state attorney general. They know logbook rules, hazmat standards, weight and length restrictions, and most importantly, the effects of various jurisdiction violations on your CDL.